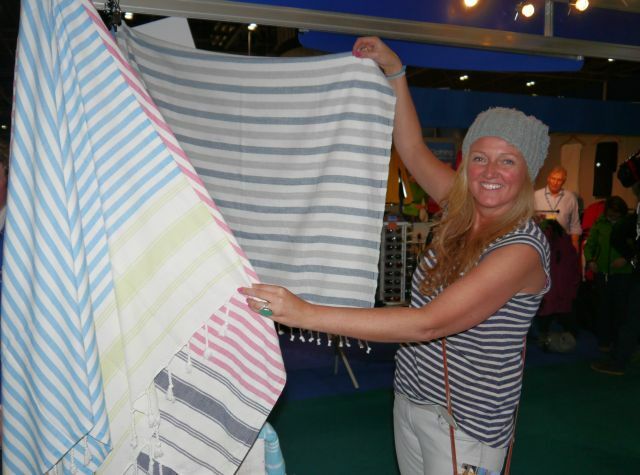 The 'rain curtain' at the London Boat Show entrance proved to be more of a trickle than a downpour but exhibitors and visitors were feeling positive after the opening day. The 10-day show launched yesterday with appearances from pop star Nicole Scherzinger, TV personality Nick Knowles and Paralympic champion Helena Lucas. Plus 83 international boat debuts and 39 product launches. This year’s London Boat Show coincides with the new London Classic Car Show and the added attraction has been credited with attracting more people than usual to the ExCeL exhibition centre. Exhibitor Keith Hughes, managing director of Baltic Safety Products, said: ‘I’m pleasantly pleased with the footfall. Having the car show next door has attracted a hell of a lot of people. 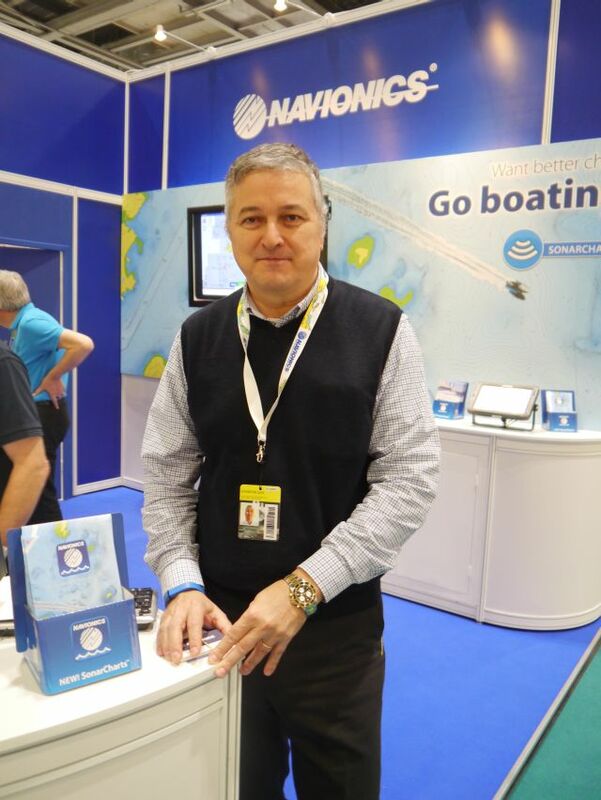 Marcello Albanese, business development director at Navionics, said: ‘For us, the opening day was fantastic, we couldn’t even get a break for lunch. 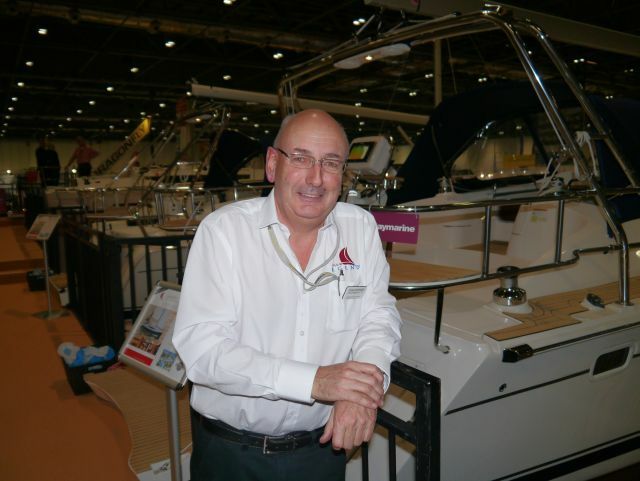 ‘We’ve been coming to the London Boat Show for the last five years and I’m not sure about in general, but for our business, this year has been really successful so far. ‘Maybe it’s the car show, but for some reason – and I visit a lot of boat shows around the world – the feeling is quite a good attitude here with customers buying new boats or refitting old boats with electronics, which is our core business. Dylan Whittaker, of Legend Yachts UK, said he liked the idea of a themed entrance but suggested sunshine instead of rain for next year. He said: ‘The first day is never mad but there seems to be a good feeling, a lot of positivity. 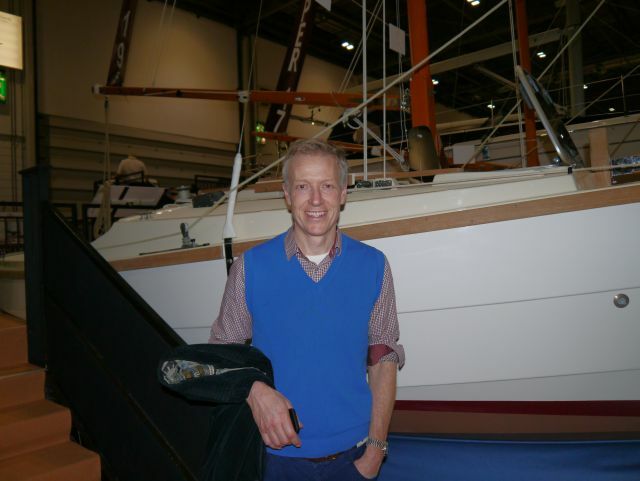 ‘The London Boat Show has been getting smaller and smaller over the last 10 years but there seems to be more sailing boats this year, which is positive. ‘It’s a good time of year to be talking boats for the next year. We had a great show at Southampton and we’re hoping to do the same here. Paralympic 2.4mR keelboat gold medallist Helena Lucas joined Solent Whisper designer Ron Price at the Datatag Lab presentation area. Solent University graduate Helena told how she had a go on the hydrofoiling catamaran: ‘I was so excited. ‘I’d never been on a cat before and I was about to go up on foils, I’d had a couple of gos on hydrofoil Moths before and it had always resulted in a big crash. He said: ‘It’s been a long time building it, we’re kind of getting there. We wanted to make it fully reliable and safe. It was inspired by the America’s Cup boats last year. Boatbuilders White Formula Ltd are building a Whisper boat from scratch at the London Boat Show. 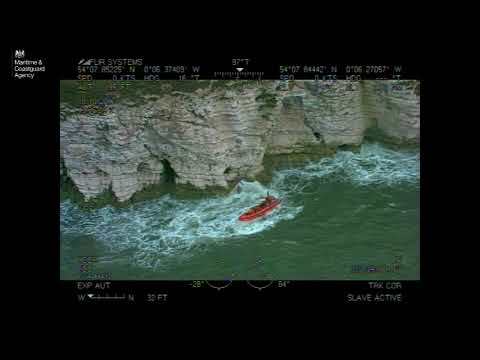 The boat retails at £19,500 and is said to be the cheapest way to go foiling – and probably the easiest hydrofoil boat to sail. White Formula’s Tom White, whose grandfather Reg White was a gold-medallist Olympic sailor, said: ‘At the show we’re going to be building a Whisper live, starting with all the prep work in the mould. Hopefully by Monday we should have a complete boat. On Tuesday we’ll have a boat ready to fit out. Special guests still to feature at the show include Sir Robin Knox Johnston and Sir Ben Ainslie. Plus there are free RYA Active Marina workshops, a digital wall that highlights key products and events to help you plan your day, and a 4D environment, where groups of visitors can experience atmosphere, temperature, scent, wind and sound of six areas ranging from the Arctic to the Tropics. 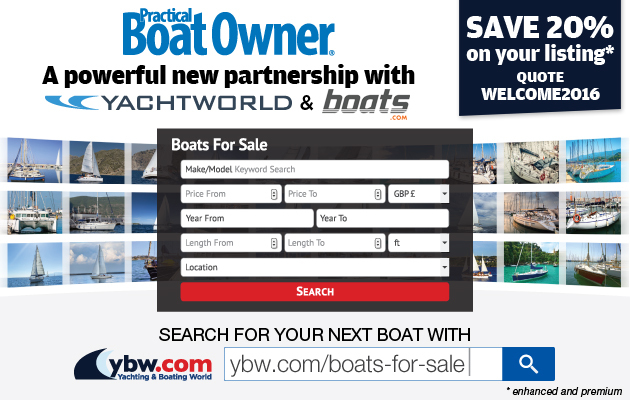 When buying London Boat Show tickets online, quote the promotional code CM9 to get two tickets for £24. Ben Ainslie Racing (BAR) sailors and designers: The Datatag Lab will host exclusive Q&A’s with the people behind the bid to bringing the America’s Cup home. On Saturday 17 meet the sailors who make up the BAR sailing team and on Saturday 10 join the BAR designers at the forefront of racing technology. Unveiling of the first ever production model of the Solent Whisper: During the first three days Southampton Solent University, alongside White Formula Ltd, will be building from scratch the first ever production model of the hydrofoil catamaran, Solent Whisper. On Monday the vessel will be completed for its grand debut with Ron Price, its creator, on hand to explain the revolutionary technology in a Q&A. Met Office share the science of forecasting: Penny Tranter, former BBC weather forecaster and current Meteorology Training Manager at the Met Office, will be explaining how the organisation has been experts of marine weather for over 150 years. In particular she will be discussing the forecasting at Weymouth during the previous Olympics. HRH Princess Royal visit: HRH Princess Anne will be at the Show to explore the wonders of the marine industry. As special guest on the RYA she will be unveiling the winner of the Yachtmaster of the Year Award, as well as taking a tour of the Show and visiting other exhibitors. Sir Robin Knox-Johnston: The world renowned English sailor, best known as the first man to sail single handed and non-stop around the world, will be speaking on the Datatag Lab. As Chairman and Founder of the Clipper Round the World Yacht Race he will be speaking on the race, now in its 20th year, and reflecting on its value as the only race around the world which is specifically for non professional sailors. Bart’s Bash special announcement: Andrew Simpson Sailing Foundation, joined by Sir Ben Ainslie, will be celebrating last year’s Bart’s Bash, a global sailing race and fundraising event as well as revealing plans for the next ‘Bash’. Olympic sailing legend Sir Ben Ainslie will be attending the show on Wednesday 14 January. It’s London Boat Show time again, but this year is a bit different.